Which Payroll Management System Is Suitable For Startups? Most startups and small organizations use generic methods for payroll management such as Excel, attendance registers, and other manual processing tools. However, these methods may seem efficient and convenient, they start to wound your startup’s functioning quickly. As employee count increases so does the calculation related to payroll processing, and eventually, manual work becomes prone to human errors. This situation gets worse when a startup functions country-wide, then the HR has an added responsibility of considering state wise statutory compliance laws. Since Excel and other such tools can prove to be insufficient, payroll management systems can be used for effective functioning. But first, let’s see what exactly is payroll management. Payroll management means administering and handling employees’ financial data such as salary, tax information, bonuses, and deductions. The process also comprises various activities including tracking attendance, calculating salaries, managing taxes and other deductions, disbursement of checks, and payment of employment tax. 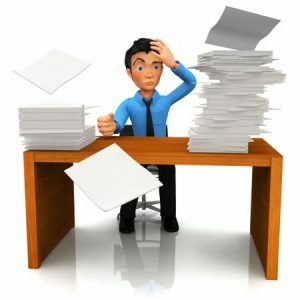 Regardless of employee count, every startup and small organization additionally needs to maintain several employment records, data related to new employees and existing ones, tax records, and holiday, leave, and overtime pay records. Manual processing and handling of payroll is a tedious task which is prone to errors and can take up a lot of time. Here’s how Payroll management system can help startups and small businesses. It reduces time spent on processing and manually compiling data related to wages, taxes, bonuses, and deductions. Manual work is susceptible to calculation errors, and even a single, small error can lead to a series of mistakes, all of which can be eliminated via payroll management services. Payroll regulations and laws are frequently changed and updated, and many startups often face problems adjusting to these changes. With a payroll management service, these changes can be implemented easily. Errors in payroll can not only result in miscalculated records but also pose a threat of fines and penalties. With an automated payroll service, human mistakes can be reduced. Managing records via Excel, registers, and other such tools can lead to security breaches, which can be avoided with a good, secure payroll system. Although there are many options for payroll management, for startups and small businesses, outsourcing payroll is the best option. What else can be better than a team of experts managing your payroll for you? You can reduce employee burden and save company resources. All the hassles related to tax, evolving laws and regulations, leave calculation, and overtime pay calculation is automatically resolved. Payroll management services take care of employment tax deadlines and handle other calculations for avoiding fine and penalties. You can additionally save some time and resources which you would have used for setting up a payroll system. And rescue employees who would have spent their time managing and handling every task just to end up hampering their productivity. Nowadays, some providers are also offering online payroll management options which can further reduce costs and enable secure access to records through the internet. This service is very convenient as startup owners can keep track of records online and monitor any record almost immediately. A good system is worth your hard-earned cash. From automation of payroll to elimination of tiresome calculations, everything is done resourcefully to reduce errors, inaccuracies, and redundancies. Online payroll management options for hassle-free access to records anytime with just an internet connection. This feature helps you monitor activities without worrying about things going wrong. Customization of services according to your needs is another important pre-requisite for a great payroll system. Every startup has different needs and requirements, and its payroll service should be scalable enough to adjust to these requirements. Ease of access holds significance here because if the payroll system is not easy to install and use, then your employees will have a hard time accessing it. This will waste time instead of saving it. Your payroll system should have large storage availability to incorporate all your employee and payroll records, and it should maintain cloud backup. As a startup, you should consider outsourcing payroll management as it can save you some resources, time, and most of all, help you avoid errors. After all, employee data and payroll records are very important for every organization, so, take some steps to simplify and enhance payroll process.